Tea Time folks! 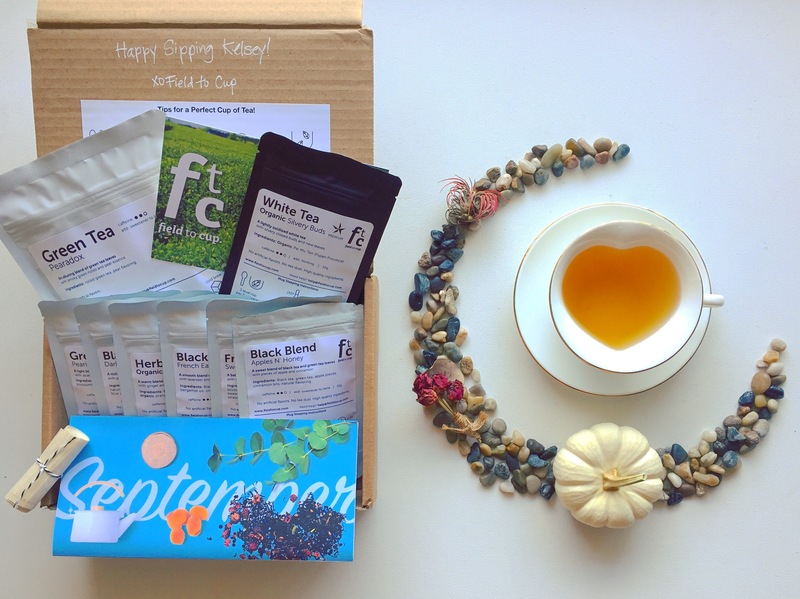 This has got to be the most amazing tea subscription! Look how many massive bags we got here! Want to discover new, unique tea each month? Each month, Field to Cup will send you loose leaf, high quality tea. You also have the option of organic only. So many options for monthly subscriptions too! They also sell some fancy tea pots in their store, really nice Borosilicate Glass ones. They even have a Japanese Cast Iron Teapot in one of their Gift sets. Their gift sets look just as exciting as their subscription boxes! So many amazing teas, so hard to choose! They have about 20 I’d like to try right away! The Mexican Hot Chocolate Black Tea, Carrot Muffin, Roasted Almond, Rooibos Pumpkin Patch, Vanilla Horchata, Almond Praline, Chocolate Cashew… okay I’ll stop now. 🙂 Either way you can be sure you are getting the very best as they go the extra way to test their products. Black Blend Apples n’Honey – My favorite for suuuure with honey and sweet apple. Fruit Tea Sweet Heat – ginger and hibiscus yum! Black Tea French Earl Grey – Mmmm love the subtle hint of lavender along with orange peel and floral. Herbal Tea Organic Indian Summer – oooo spicy lemongrass, orange peel and ginger! White Tea Organic Silvery Buds – Mmmm love this nutty one with hazelnut peels and chestnuts! Perfect for the Fall! Green Tea Pearific – creamy asian pear, so sweet and crisp. Green Tea Pearadox – smoky sweet pear in this one, massive bag!